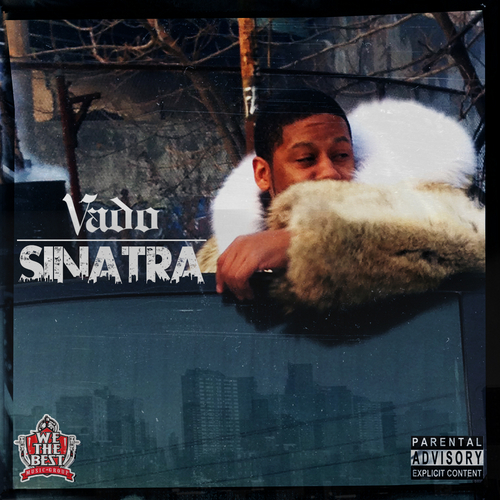 Vado releases his new official feature, an EP titled ‘Sinatra’ on February 11, 2014. On this project he brings along Rick Ross, French Montana, and Ace Hood. With Production by Cool and Dre, SAP, Scott Storch, Dolla Bill Kidz, Heat Makers, Butter Beats, and B Wirks. Vado, who resides from Harlem was once Camron’s protégé and sidekick. His most notable releases and probably best works are from the ‘Slime Flu’ mixtape franchise. Since the days of being Camron’s partner in rhyme have passed, he has recently matched up with Miami native DJ Khaled. That would explain the Rick Ross, French Montana, and Ace Hood apperances. It has been awhile since we have heard any new material from Vado as many critics and fans thought his career was over. Now he is back with this mixtape EP that is 8 tracks of his recent efforts to gain critic’s acceptance and let fans know that his rap career has only begun. On this release, Vado wastes no time handling his business by rapping about clothing style preferences, lavish women, and drug cartel lifestyle. This style seems to have been handed down to him from Cam’ron. On the track ‘Pimpin’ produced by B Wirks, he flows over Jay-Z and UGK’s ‘Big Pimpin’ hit record with a reworked instrumental. He still uses Jay-Z and UGK’s voice slowed down in the background on the hook. The line is ‘You know I thug em, f*ck em, love em, leave em/cuz I don’t f*ukin need em’/I’m a pimp in every sense of the word b!tch/better trust and believe em’. On the track ‘2 Fingers’ he brings along label mate Ace Hood to let the haters know he does not need or care what they have to say, it’s peace to them. His flow is quick over this fast pace beat with r&b artists Kevin Cossom. About Vado’s release of ‘Sinatra’, he still has what it takes to keep his name relevant in the mixtape/rap game. This is just the beginning for Vado as he has signed with the ‘We The Best’ crew. He may not be Camron’s sidekick or partner in rhyme anymore, but with his flow you can tell Camron was his Harlem mentor. After this EP release, fans are looking forward to a retail album release by him. Will he have it what it takes to keep his fan base raving about him since he has signed with DJ Khaled? Be sure to check out and download this free mixtape release from Vado. 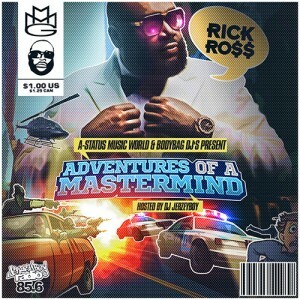 Rick Ross’ new retail album ‘Mastermind’ is set to be released on March 4, 2014. This mixtape ‘Adventures of a Mastermind’ hosted by DJ GJersey Boy, who has released some hot free mixtapes recently, is somewhat of a preview to that album release. The first track ‘War Ready’ features Young Jeezy and is a hot single. 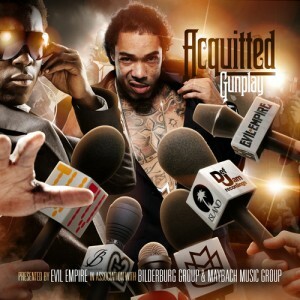 The track was just released so it is all over the mixtape circuit. On the track, Rick Ross talks about money, power, and the drug game. The beat is produced by Mike Will Made It and it pounds. At one time, Young Jeezy and Rick Ross were at war but have declared Peace. Young Jeezy has the second verse on this track and comes in hard on the beat. On the track ‘Oyster Perpetual’, Rick Ross lays down a freestyle flow with his nice, laid back, nonchalant flow over a smooth beat. ‘The Devil is a Lie’ is the second single off ‘Mastermind’ and has been very popular on mixtapes as of recent. The track features Jay-Z and is produced by Major Seven. The duo had a hot record with ‘FuckWitMeYouKnowIGotIt’ so Jay-Z only had to repay the favor and appear on one of Ross’ tracks. Some people like to talk about Jay-Z and his devilish flows, so he just pokes fun at the notion and drops a record to play with his music critics. ‘Look Me in My Eyes’ features his Bad Boy label mate French Montana. These 2 have been featured together on many records as of recent. Camron’s protégé Vado also appears on the track as French Montana sings the hook. Rick Ross makes an appearance on the DJ Khaled remix of ‘You Don’t Want These Problems’ and lays down the first verse of the track. Many other artists are featured on this track including Big Sean, French Montana, 2 Chainz, Meek Mill of Ross’ MMG Label, and Ace Hood. The remix track is mediocre at best. There are a few solo efforts by the boss on this mixtape such as the track ‘Bound 2’. This track is produced by rap superstar Kanye West, so he probably paid a hefty price for the beat. Rick Ross lays down lyrics over an instrumental with no bass beat, sort of an a cappella flow. The track ‘I Know’ has a new version of the ‘I Got 5 on it’ beat. How many times has this track been remixed or rapped over already? Featured on the track is newcomer Whole Slab. 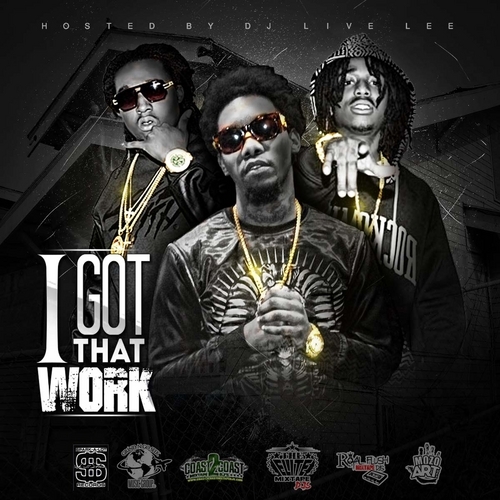 There are many other hip hop artists on this mixtape such as Fat Trel, Lil Durk, Jadakiss, Young Cash, and the final track features a remix with Lady Gaga and R Kelly. The track remix is of Lady Gaga’s newest single ‘Do What U Want’. Music in the hip hop and rap genre are used today to break new artists. Unknown or well-established artists use these to hopefully land a recording contract with a major record label. In today’s hip hop music industry, it is a must even for signed music artists to release these. This helps to keep the artists relevant with their fans and also remind them that they still have what it takes to make hit records. Many artists also release these tapes in between their album releases to hype up their retail efforts. Sometimes, if not most of the time, these are better and more in tune with the artist’s emotions then their retail album. This is because many of the record companies want their music to be album specific and liked by the general population. These contain raw and uncut music that may not be suitable for an album, so it is released on a mixtape. These have been around for a very long time and artists have been making these for a long time. Artists were being signed before him. Several even claim to have invented these. However, most of the artists claim otherwise. 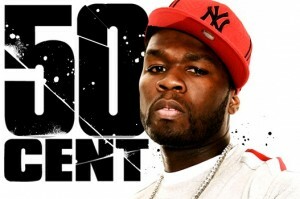 Some artists like 50 Cent made such claims which was highly incorrect. Many aspiring hip hop musicians use mixtapes to help boost their career. They use them as a way for their music to be heard. By offering them as free, these tapes can reach a wider range of audiences. Anyone that is serious about their music career will use these to help establish them in their local community, city, state or even worldwide by means of the internet. Although these works mostly contain hip hop and rap music, some r&b artists have also used these free commpilations to establish themselves. 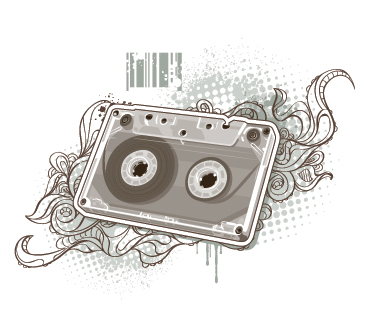 The popularity of these tapes is increasing day by day and music artists all over the world are realizing their importance. All of these free download mixtapes were hosted by DJ Whoo Kid who was just as famous as G-Unit at the time. 50 Cent’s fame helped launch Whoo Kid’s DJ Career. 50 Cent went on to have an excellent career in music even though it did not last as long as anticipated. Most of his wealth was acquired from Vitamin Water which was sold to Coca-Cola for 4 billion dollars. His share in the health drink was 250 million dollars. 50 Cent also went on to release a retail hip hop album with his G-Unit crew entitled ‘Beg for Mercy’. Though Waka Flocka’s has always maintained that he is not one of the traditional rappers and has no interest in being known as the lyrical artist, his recent release ‘From Roaches to Rolex’ changed the entire belief about him. He has also tremendously improved his flow and that is quite visible in the songs like ‘Took Off’. In this song, he delivers threatening words that turn more menacing as he goes on delivering his rapid cadence. He has also used his best flow on the song ‘7 Days a Week’. This song doesn’t seem to have any flaws and has been delivered with a real tightness. Also, his overall vocal performance on the new projects has improved pretty much and this shows that he has also been practicing between his consequent releases. Still there are some songs where he uses his old yelling style- he screams from the starting to the end just like the song ‘Obituary’ that features Wooh Da Kid. In the song ‘Ice Cream Cone’, a lot of lyrical shots have been thrown at Gucci Mane. Though he clearly stated that he was going to do a diss on the Gucci’s song but all his fans were disappointed to see no actual dissing in the mixtapes. 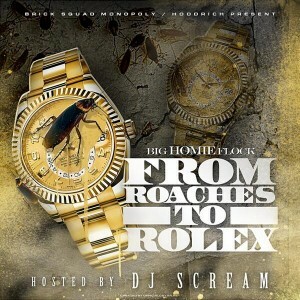 The things also get a little repetitive on the song ‘From Roaches to Rollies. In the songs ‘Running Them Lips’ Chazz has been featured and Waka ends up repeating the same uninventive hook. Same goes for the ‘Heavyweight’ song that features rappers Sony and Frenchie. The improved vocal performance of Waka seems to be the only saving grace of this song and that he continues in his other songs as well like ‘Rainy Dayz’. In this a funky guitar riff has been effectively used that also fits with the improved flow of Waka. The other beats however, do not have the same level of dopeness and a lot of separation comes in between the instruments and the sounds. All this makes the project a bit unpleasant to listen some times. He also produces free releases from time to time. 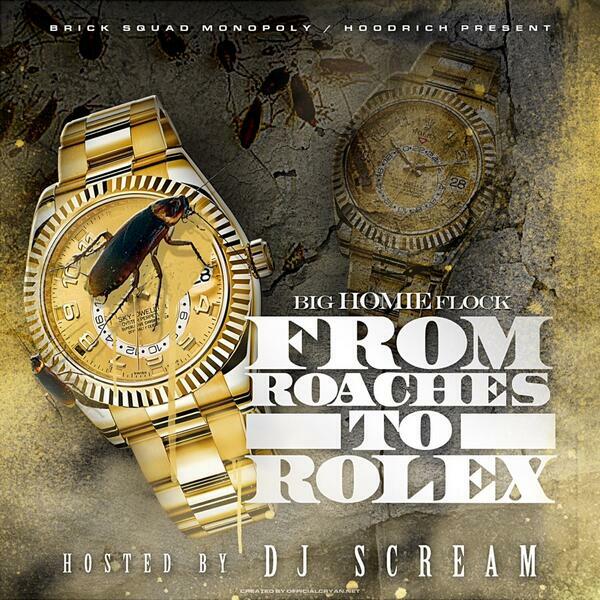 However, what this tape clearly states is the underlying desire of Waka to improve and become a better rapper. Improved performance is always desired by everyone. 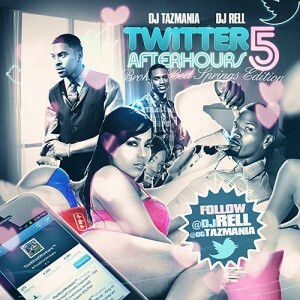 Download music compilations of Waka and savor the performances. The internet and the mixtape culture go hand in hand. Any hopeful rapper or producer can reach the general public and record labels through the internet. They can also make their own labels. It can be called the breeding ground for rappers. They can release free tapes to see what kind of response is received from the general public and then they can release their final product. This is the best way to give the starving listeners a preview of what’s to come and build up anticipation for their final release. The trend of mixtapes has breached into albums as well. The artist releases help them to get solid grounding and critical acclaim. Then they can build up from this foundation. What these tapes offer is sometimes even better than the actual retail album. They seem to be more fulfilling most of the time. 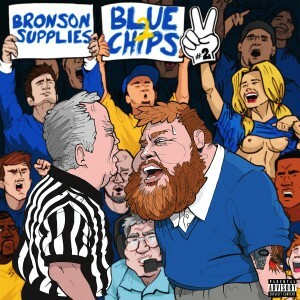 Action Bronson and Party Supplies first came on the mixtape map in 2012 with their first ‘Blue Chips’. This project proved to be the breakout project for Bronson who had been gaining the momentum for some time. After that he released many project but none of them created much anticipation like the ‘Blue Chips’. So, when the Blue Chips sequel was released, there was a lot of anticipation amongst the fans regarding the hip hop mixtapes and they were not let down. With the 80’s classic touch, they proved that going back to the basics still pays off in the long run. Roc Marciano released free projects before the release of his full length album. He portrayed the good and the bad that he has actually lived. It is a completely fresh take as compared to the other musical works released. And, if you just want to understand what I mean, go ahead and listen to some of his tracks and I am sure you will get the knack of it. Chance The Rapper started with ’10 Day’ but what established him was ‘Acid Rap’ that came out in 2013. We can call this a true rap debut as he has displayed every element of his personality on the tape. He has also displayed his love for Chicago, his hometown. From slow to bursts of energy, he displayed everything in his music. This kind of versatility is rarely found. 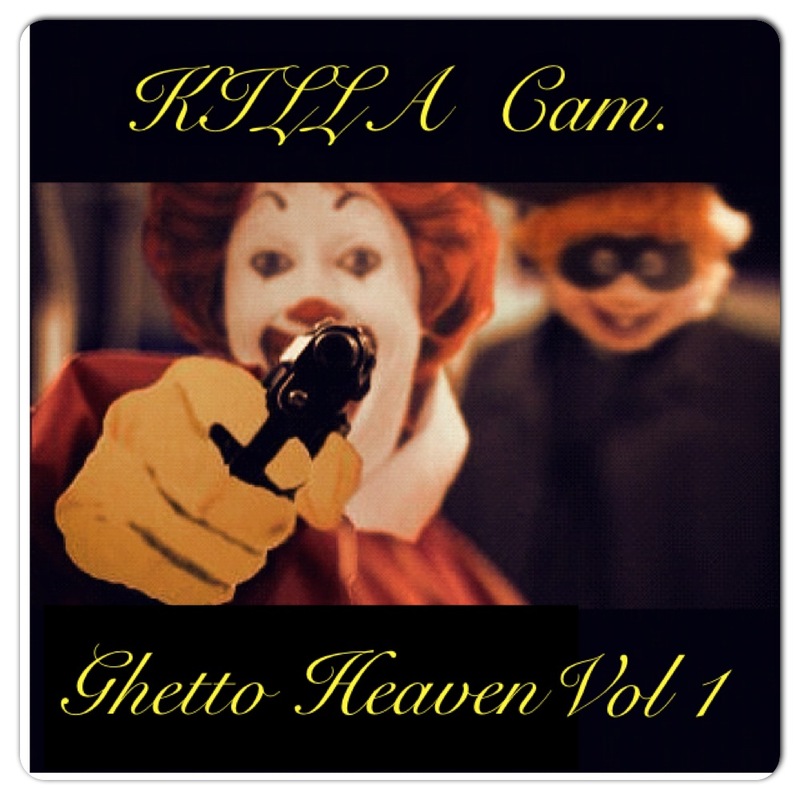 We’re going to review Cam’ron’s latest mixtape official release titled ‘Ghetto Heaven’. The song ‘Me Killa’ is taken from a classic track by Bone Thugs~n~Harmony that goes by the same name. On ‘Told You Wrong,’ he uses a quick flow, that works great over J Money’s production on the tracks that sounds like a TV crime drama beat. Even though Cam’ron has quick flows and punchlines on this song, he doesn’t really impress as it just seems like a filler track. Some of the other producers on this mixtape include ADM, YH Zombies, Skitzo and even Cam’ron himself produces a couple tracks. Features on this mixtape include 2 Chainz, Yo Gotti, Loaded Lux, and T.I. who always delivers. Cam’Ron still sounds best on smooth beats with somewhat of a pimp flow. He speaks, rhymes, and articulate flow is one of the best. This man has been in the rap game since the 90’s and is still droppin hits like Jay-Z. Most rappers do not have this type of longevity. Another example is on the song ‘You Know This,’ where producer Araab Muzik takes a lush harp sound that really brings out the rapper’s story about a persistent girl he’s dealing with. This tape almost sounds like there are too many different producers which don’t allow the mixtape to have some sort of theme. Certain part of the tape can become boring or only seem like filler tracks. Maybe next time only have a few different producers rather as many as he had on this release. This isn’t the case with the entire mixtape, Cam’Ron always has a few jams that on his releases that you can sit back and get faded too. 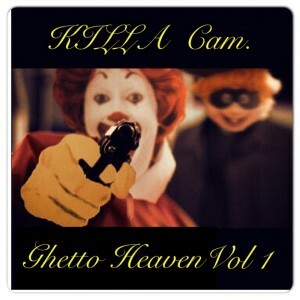 Overall you will like this drop as Cam’ron gives you tracks about pimpin, Harlem life, money, drugs, and women. What else is needed from the Harlem breed rap artist? Maybe a dipset reunion or at least a release with fellow rapper Juelz Santana.